The Drive 61LM Value Bundle combines our most popular accessories with the Drive 61LM at a huge savings! 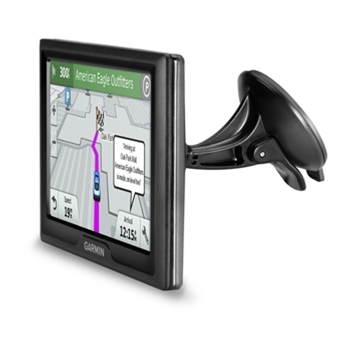 Bring the Garmin Drive 61LM on your next trip and see what it feels like to travel with ease. A 6” color display will be easy to view no matter when it’s in use, day or night. Preloaded with US maps and points of interest, this unit is easier than ever to find a specific address or restaurant or hotel and comes with lifetime map updates to keep everything current for your travels. The Drive 61LM is a great navigational companion loaded with top of the line features at a price that won’t break the bank. Useful safety tools such as notifications as to school zones, dangerous upcoming curves, speed changes, and more all keep you updated to what’s ahead keeping you and others safe on the road. If your 61 LM Drive unit senses that you may have been traveling on the same route for too long, you will get a fatigue warning to suggest an upcoming rest area to refuel yourself and grab a bite to eat, or simply just take a break from driving. Simplified directions with Garmin Real Directions keep you alert as to when to turn and what landmarks to look for when approaching a turn, such as “Turn left in 600 ft. at the McDonalds”. This enhances your awareness to what’s going on around you instead of focusing on your GPS display. Working closely with the FourSquare feature, you also have access to TripAdvisor. Use the FourSquare feature to see reviews that other people have made about where you decide to go to help you narrow down which places are the most desirable to go to. See points of interest, customer reviews/ratings on hotels, attractions, etc. with the built-in TripAdvisor feature and even have your 61 LM suggest attractions along your route with the built-in Trip Planner. 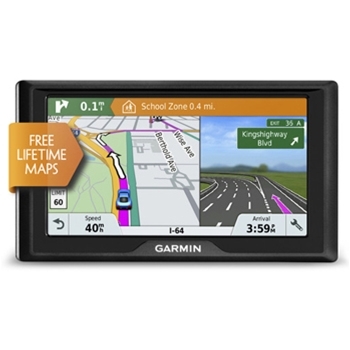 For the simplified way of navigation, the Garmin Drive 61LM is the premium choice. 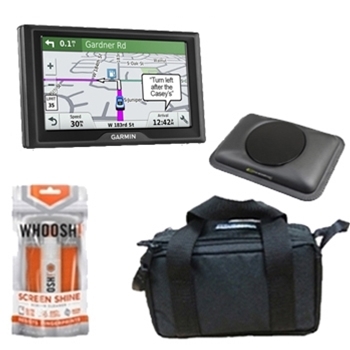 Each Garmin Drive 61LM comes with: Garmin Drive 61LM with US Maps, Vehicle Suction Cup Mount, Vehicle Power Cable, USB Cable, Quick-Start Guide, XS700 Padded Case, Universal Friction Mount, and Screen Cleaner and a One Year Manufactures Warranty.